Johnny Jolly won&apos;t be taking the field for the Green Bay Packers anytime soon -- he has been sentenced to six years in prison for violating probation on a previous drug conviction. The 28-year-old defensive lineman was arrested in Houston in October for possession of a compond containing codeine. Jolly was on probation from an April codeine possession plea that kept him out of prison unless he got into trouble again. A tearful Jolly pleaded with the judge during Thursday&apos;s sentencing to send him to drug treatment instead of prison. "I want to go to rehab to get help," he said according to The Associated Press. However the judge was unmoved and sent him to prison. 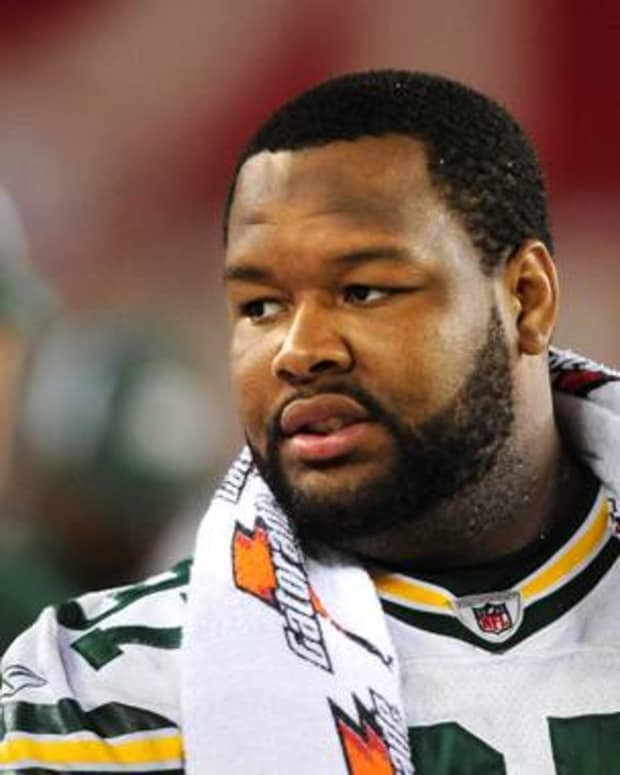 Jolly joined the Packers in 2006 and was a starter in 2008 and 2009. However he missed the 2010 season when the NFL suspended him indefinitely after his first drug bust.